The topping feathers are the plain yellow feathers in the image, the barred feathers are the tippet feathers. Both popular in many wet fly patterns. 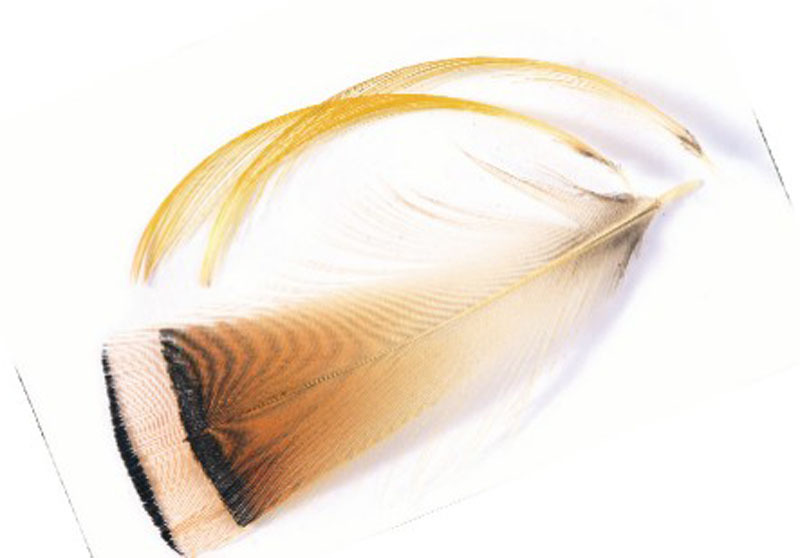 The Topping feathers for Kate McLaren and Invictas and the tippet for patterns such as the Black Pennell and Mallard & Claret but both used for many more patterns.